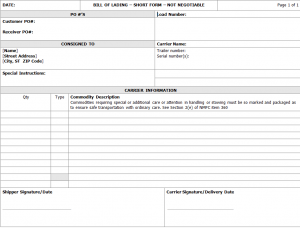 The Bill of Lading (BOL) is the key document in the shipping, transit, and delivery of produce; they guarantee that shippers will receive payment and receivers will take delivery of the product. A bill of lading also serves as the contract of carriage between a shipper and carrier; while shippers are almost always responsible for preparing the bill of lading, a drivers signature equates to the carriers responsibility for the document and evidence that the carrier received the goods for transport. Shipper Information: BOLs will typically list the shipper Name & Address, shipper PO#, receiver PO#, and Signature & Date. Consignee/Receiver Information: The BOL will list the consignee Name and full Address, along with any special instructions directed to this party. Carrier Information: The BOL will list the carrier Name, Trailer Number & Serial Number(s), and Signature & Delivery Date. 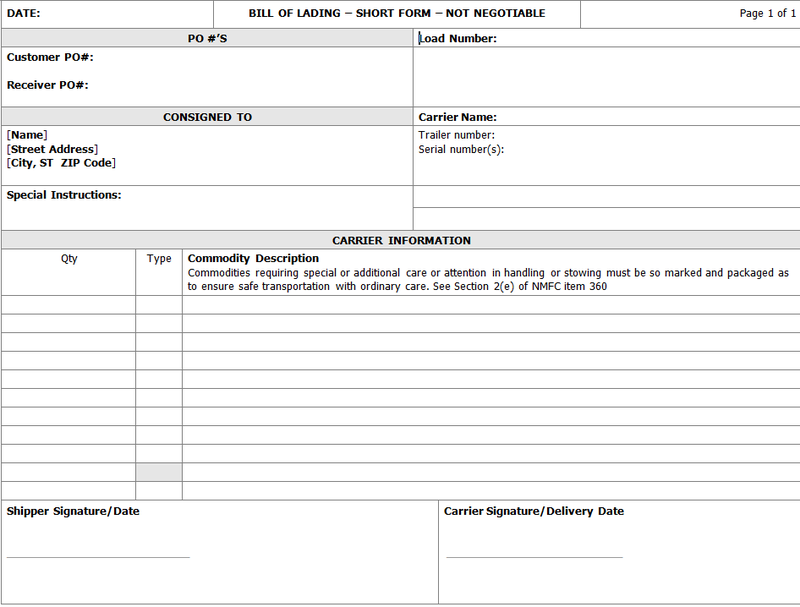 Commodity Information: Quantity, Type and Description of all commodities shipped are listed. Commodities requiring special or additional care or attention in handling or stowing must be so marked and packaged as to ensure safe transportation with ordinary care. This section often contains the information related to the temperature recorder (Serial #), if one is put on the truck. It is key that the driver check ALL product being loaded on to their truck to make sure it matches the BOL, and this includes the recorder. Said to Contain (STC) or Shipper Load and Count (SL&C): While there may be a small distinction between the terms, they both make the shipper bear the burden of proof as to what was loaded and whether it was loaded properly. If there is no STC or SL&C notation, then the carrier has obligated itself to transport the goods as described. If the notes are present, the carrier has only obligated itself to transport the goods actually loaded. In addition to their importance, if there is a shortage at the time of delivery, the STC and SL&C notations may become relevant if damage occurs as a result of improper loading. Carriers should be aware of the temperature requirements prior to signing the BOL, and most bills of lading will state the temperature requirements. Remember, all produce is required to run at the requested temperature, and on CONTINUOUS setting. Carriers should take pulp temperatures to verify the temperature of the produce at the time the load is picked up. A good tip is to review our post on how to pulp product, which ensures drivers are following the proper procedure. 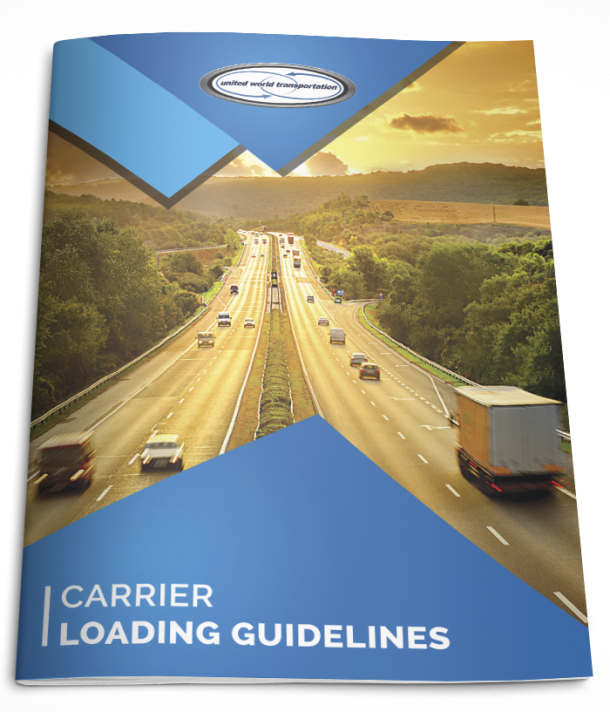 If the carrier can prove that the load was not properly prepared by the shipper, this may help the carrier defend against a temperature-related claim. From the shipper’s perspective, it is important to not only provide some indication to the carrier of the temperature of the load at origin, but also get the driver to sign off on it. This will help fill in the blanks should a temperature-related dispute develop. It may also help with insurance recovery, if the bill of lading shows that the produce was properly prepared for transport. It is very important that any apparent damage or loss be noted on the BOL and any delivery receipt(s). If product is accepted on a ‘clean bill of lading,’ the burden of proving that the carrier was responsible becomes much higher. Claimants must always prove that products were received by the carrier in good condition at origin but delivered in damaged condition. One way to help prove the goods were damaged when delivered is by making the appropriate notation on the bill of lading. Common notations include shortages, damaged cargo as a result of shifting, and improper temperature control. The carrier is only responsible for delivering what was described on the bill of lading and actually loaded. For example, if the description of goods is ‘twenty pallets of apples,’ the carrier only needs to deliver twenty pallets of apples. The carrier may not be responsible for a shortage of boxes or cartons of apples because the number of boxes or cartons was not stated on the bill of lading. A properly documented load, starting with a properly prepared bill of lading, will assist all involved parties in avoiding or resolving disputes in the future, and ensure a smooth shipping and delivery process. The key is in the details; the more detailed the BOL, the better!